Asthma Clinics are run by Sister Cathy Warner. 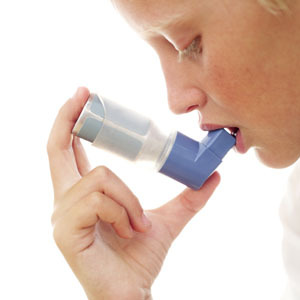 We are always happy to review anyone with asthma every year and more frequently if your asthma is not well controlled. Shortness of breath at work/school or when exercising. Persistent Cough, wheeze, tightness, or shortness of breath during the day. If you need to use your salbutamol (blue) inhaler more than 3 or 4 times a week it may imply your asthma is poorly controlled. If you need further advice or information then please feel free to book an appointment at the clinic. For further information on asthma please visit the Asthma UK website. Diabetes is a lifelong condition where your own body's ability to produce sufficient insulin to regulate the amount of sugar in your blood is impaired. It is often associated with the body being unable to make maximum use of the insulin that is around (Insulin resistance). Having high blood sugar levels for prolonged periods is associated with problems with the eyes, kidneys, the circulation and nerve supply to the feet, and makes diabetics more susceptible to heart attacks and strokes. Diabetes can run in families and is much more common in people who are overweight. If you would like to be checked for diabetes make an appointment with the nurses and bring a sample of urine to your appointment. The Diabetic clinic at the surgery is run by Sister Diane Shipp and Sister Lynne Jones. If you are diabetic, you will be sent a reminder to have a twice yearly check-up; you will be able to book an appointment at your convenience.